James Robertson (1928-2019), the founder of the Spartacist League/United States and its political offsprings around the world, died on April 7th, having reached his 9th decade. He was the leader of a thoughtful group that aspired to refound the Fourth International, the revolutionary organisation founded in 1938 by Leon Trotsky and his followers to fight the degeneration of the Russian Revolution and then as an alternative to the Stalinist destruction of genuine revolutionary communism. The international was itself the product of a long struggle in the 1920s and 1930s, against the stream, in the context of terrible defeats for the world working class in Germany, in Spain, and with the second imperialist World War. The assassination of Trotsky and the fact that many of the politically strongest Trotskyist cadre died prematurely at the hands of the Nazis and Stalinism during the war, left the Fourth International (FI) weakened politically in the complex political situation that emerged. The considerable expansion of Stalinism, in particular, into Eastern Europe, in China, in Korea and Vietnam, and later Cuba, which appeared somewhat at odds with the Trotskyist movement’s theory that Stalinism was a weak and unstable phenomenon that could not lead revolutions, led to the collapse of the international into centrism, tailing Stalinism over Yugoslavia in particular. Then the leader of the FI, Pablo, posited the idea that Stalinism, the phenomenon of deformed workers states that resulted from this expansion, was the wave of the future; that it would last for centuries even, and thus there was no real need for Trotskyism. This was an extreme manifestation of the loss of revolutionary programme and theoretical understanding and coherence of the Trotskyist forces at this time. Even among those Trotskyists who rejected Pablo’s liquidationism, centrist capitulations were noticeable, such as the deep entryism and/or political subordination to left reformism by the British Trotskyists led by Healy and the French Trotskyists led by Lambert, to the catastrophism of both the Healy group and the US Socialist Workers Party led by Cannon after the war, the pretence that an economic collapse back into 1930s conditions was imminent. In fact the conquest of world imperialist hegemony by the United States after the war led directly to nearly three decades of considerable capitalist expansion, comparable to, and even exceeding, the economic expansion that preceded the 1914-18 war. This is where Robertson’s group emerged from, and why it has some importance. For the failure to correctly analyse and draw the correct programmatic conclusions from post-war Stalinism led, with the Cuban revolution in 1963, to the US SWP abandoning their opposition to the Pablo-Mandel liquidationists. They unified with them on the basis that Castro and the Cuban leadership were ‘unconscious Trotskyists’ (or alternative ‘unconscious Marxists’). Opposition among Trotskyists to this endorsement of Castroism, which was in reality a radical petty-bourgeois nationalist guerrilla movement whose victory caused the collapse of the feeble Cuban state under Batista, was confused to say the least. In order to stay in power against the acute hostility of the US imperialists that enlisted virtually the entire Cuban bourgeoisie in a war against the new regime, the Castroites were forced to expropriate the bourgeoisie and make an alliance with the USSR. The Healy group, in order to avoid following the pro-Stalinist liquidationism of the US SWP, denied that that Cuba had had any kind of revolution, and claimed that the Cuban bourgeoisie was still in power under Castro, but that it was a ‘tired’ or ‘weak’ bourgeoisie. The French group likewise said that Cuba was ruled by a ‘phantom’ bourgeoisie. 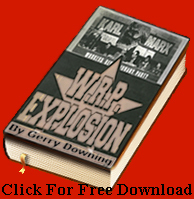 But the minority tendency of the US SWP led by James Robertson, Shane Mage and Tim Wohlforth correctly noted, after the economy was nationalised in the autumn of 1960 and then the regime proved it would defend that during the subsequent Bay of Pigs attack on Cuba, that Cuba had become a deformed workers state, led by a Stalinist regime, albeit an unconsolidated one, that needed to be overthrow in a political revolution by the conscious working class to open the way to socialism. This US minority was aligned with the British and French groups of ‘anti-revisionists’ led by Healy and Lambert. But the political insecurity of those groups’ ‘anti-revisionism’, epitomised by their refusal to recognise the social overturn in Cuba, was a symptom of their own bureaucratic and unprincipled degeneration. Wohlforth and some followers split away from the Robertson-led Revolutionary Tendency in an unprincipled manner, basically based on personal loyalty to Healy. Child No 1: Members of the International Bolshevik Tendency. They split in mid-2018 and the competing groups are the IBT and the BT, accidentially represented in the March 2017 pre-split picket in Canada. This wrecked the formation of a strong Trotskyist alterative to the SWP and left Robertson a lonely figure leading the isolated group in the US that became the Spartacist League. When Robertson had wittily criticised the denial of reality of Healy/Lambert at the 1966 London Conference of the International Committee, the ‘anti-revisionists’, noting that “If the Cuban bourgeoisie is indeed “weak,” as the I.C. affirms, one can only observe that it must be tired from its long swim to Miami, Florida, FLA” he and his group were thrown out of the Conference and bureaucratically excluded from the IC. On the basis of this honourable episode the Robertson group came to regard itself as the continuator of the best aspirations of the ‘anti-revisionists’. Gradually in political conflict with Pabloites and ‘anti-revisionists’ alike, the Spartacist League/US engaged with the movement, and in the 1970s crystallised an ‘anti-revisionist’ tendency of their own, the international Spartacist tendency (iSt – now the International Communist League (Fourth Internationalist)), initially with groups in Europe and Australasia. The problem is that Robertson’s aspirations to build a new anti-revisionist tendency against Healy and Lambert were not matched by his political understanding. And he did not have a real collective of peers around him to correct his own weaknesses, as other leading cadre of the Revolutionary Tendency (the Robertson-led minority in the US SWP) dropped out of politics around the time of the break with Healy, including Mage and Geoffrey White, the latter being probably their most senior SWP cadre. The result was an organisation marked by Robertson’s personal politics, and his own erratic deviations from Trotskyism, that played a greater and greater role as time went on. Three questions epitomise this. One is the national question, where Robertson had never fully broken from his earlier political history in the Shachtman group. He had broken from their refusal to defend the USSR and other deformed workers states, obviously, but he had not broken from their Zionist-derived sympathy for oppressor peoples against the oppressed, particularly in some cases where this was sharply posed, e.g. Israel/Palestine, and Ireland. The Spartacists moved gradually from a pro-Zionist, pro-Ulster position (!!!) in the 1970s, to an ostensibly neutral position on these conflicts, based on their newly-minted theory of ‘interpenetrated peoples’, but this was hardly satisfactory from a Marxist standpoint, to put it mildly. Secondly, they adopted an attitude to social democracy/Stalinism and their periodic involvement in Popular Fronts that seems designed to make it impossible to address the class contradictions and militant workers within them. Popular fronts obviously exacerbate the contradictions within such parties, when the pro-capitalist leaders make an alliance with the bourgeoisie against their own base. But the Spartacists say that this basic class contradiction is ‘suppressed’, and it is therefore a betrayal of principle to use any tactics to address the base, such a critical support, entrism etc, until the bloc is broken. Thus, depriving our movement, if this attitude were to prevail, of some key tactical resources necessary to actually split up a popular front. We have written an extensive critique of this in the form of polemics against the Spartacists later splinter group, the Bolshevik Tendency. Thirdly there is Stalinism. Being correct on Cuba in the 1960s did not give Robertson’s group a master key to dealing with this question. When Stalinism began to collapse in the 1980s, in the key case of Poland, they adopted the view that the crippling illusions of the workers in Western ‘democracy’ and capitalism meant that in order to defend the workers state, Trotskyists had to ‘critically’ support the suppression of the Solidarity trade union, which in reality was the only class organisation in Poland with a mass working class base, however low its class consciousness. Child No. 2 – The Internationalist Group. Thus throughout the whole crisis of Stalinism, the Spartacists prided themselves on their pro-Stalinist apologetics, and became increasingly deranged. It was in fact an inverted form of Shachtmanite politics that was displayed here; they feared that any attempt to address the workers at their existing level of consciousness and find ways to lead them would lead them to capitulate. This was an unfortunate product of Robertson’s own political weaknesses, his isolation, his incapacity to study the real problems of the Trotskyist movement, and his Shachtmanism. From 1970 onwards the group became increasingly shrill and eccentric even though it maintained a high-quality press and some real reputation for serious Marxism. Robertson’s weaknesses led to his megalomania and chauvinism: his 1977 ‘goatfuckers’ speech about Albanians was perhaps the most notorious example. In the 1980s the group increasingly became a shrill, somewhat crazed pro-Stalinist sect. And then after the collapse of the USSR it declined into eccentric cultism and increasingly incoherent irrelevance. And indeed that was basically the position of the tendency when he died, although his followers, it is not entirely clear with his agreement or not, have begun to pick apart some of the positions the Spartacists were known for in the 1970s, particularly regarding nationalism. What is also a sign of these flaws is that at two points, in the 1980s with the Bolshevik Tendency etc, and then in the 1990s with the Nordenite Internationalist Group, the Spartacists generated splinter groups that claim to stand for the ‘continuity’ of what the Spartacists were in their supposedly ‘healthy’ revolutionary period. Yet these groupings have tended to reproduce the bureaucratism of their political parents, and have not been able to put together a unified regroupment even to carry on what ought to be their own project. They are too preoccupied with defending Robertson’s eccentricities up to the point they broke with his organisation to step back and address the overall problems with the trend as a whole. This to the point that they use cloned, colourless publication with the same low quality paper for publications and handwritten placards to maintain the appearance that they still belong to the Robertson ‘family’. Thus, they also are a symptom of the failure, ultimately, of this initially thoughtful, but fundamentally flawed ostensibly ‘anti-revisionist’ trend to rebuild the Trotskyist movement. Maybe not. The aged parent looks back on days of hope. You fail to note the important break that the IG made with Spartacist style book, viz, the use in signage of broad-tipped markers in a wide range of colors, not merely black on white.